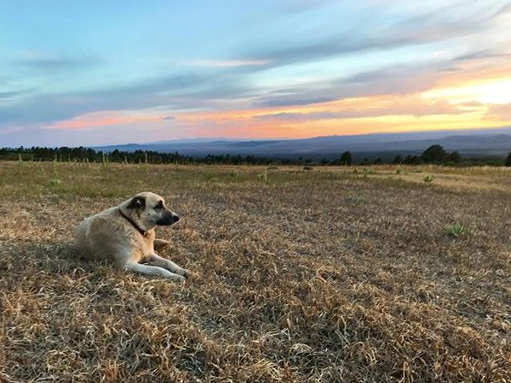 Dog bite wounds are a common emergency we see here in central New Mexico. On an average day in our ER we see anywhere from 1-3 cases of dogs attacked by other dogs. The good news is the majority of these wounds are minor. Some don’t even require surgical intervention and might just need a clip, clean, and some pain medications and antibiotics to go home. But some are much more severe, requiring extensive or repeated surgeries, sometimes resulting in loss of limb or life. Puncture wounds caused by dog bites present a “tip of the iceberg” conundrum to doctors. Even though a puncture wound might seem minor on the surface, below the skin there may be extensive damage not easily seen from the top. If the puncture occurs over the chest or abdominal cavities, damage to internal organs like intestines, liver, or lungs can occur. What seems like a minor wound can turn in to a $6,000 emergency procedure or more in some cases, which can be hard and stressful to understand when you are dealing with your painful pet at the same time. Lucca, a 7 year old female Anatolian Shepherd, was one of the worst peripheral bite wounds we had seen in a long time. Lucca’s neighbor’s dogs accidentally escaped their yard and found Lucca an easy target. The good news was that even though Lucca was attacked aggressively, all of the dog bite wounds were on her limbs, making direct damage to her internal organs unlikely. The bad news is that by the time she presented to us she was already showing signs of shock, and not one of her four legs looked good. They all had numerous lacerations and punctures with varying amounts of dirt impacted in to them. Like most emergencies, the first aspect of stabilizing a pet involves treating their shock. Lucca was pale, had a high heart rate, had a fever, and a low blood pressure. The first part of her treatment involved giving her fluids, pain medications, and starting antibiotics. Her wounds were superficially cleaned and covered but not initially dealt with. The first six hours of her treatment focused on making sure she regained normal vital signs and was no longer in shock. This was achieved, and then around 3am Dr. Jenn Lepp sedated Lucca and performed a more extensive wound debridement. Some of the wounds could be closed, but the tissue was suspect and already showing signs of blackening in areas that might suggest it’s future death. Other areas had drains placed to promote ongoing removal of fluid that might accumulate as the areas healed. Some areas had to be left open to heal. Eventually, all the wounds (over 3 dozen!) on all four of her legs were addressed, and each of Lucca’s four legs was placed in a full bandage to protect them. Because of these complications, a nutrition plan was implemented with the addition of an appetite stimulant and the plan to feed Lucca through a temporary feeding tube if she did not start eating on her own (hence helping her protein levels and then her healing). She was also started on a temporary anti-coagulant similar to aspirin to try to prevent the development of a major, and possibly deadly, clot. The wounds were also addressed daily and the surgery department was involved in her management to make sure that any dead tissue declaring itself was removed, and that things were going in the proper direction towards healing. With such extensive damage to her legs we knew amputation might end up being a requirement if one of her legs did not heal right, but the scary part would be if this happened in multiple legs. Over the following months Lucca’s owner dedicated herself to making sure Lucca got better, and the surgery department saw her almost daily for a while. Lucca also spent some initial time with “A Friend of the Family Pet Care”, where Melonie and Carlos Campo spent time helping Lucca’s rehabilitation. And Lucca’s mom also got on to social media and other platforms to help raise the funds for Lucca’s extensive care and recovery. The great news is after that first week, Lucca showed every sign of improving and healing in all her legs. After the first week one of her legs had healed so well a bandage was no longer required. Of course Lucca was kept on antibiotics, pain medication, and an E-Collar was kept on at ALL TIMES to prevent her from chewing at her wounds or bandages. Over the course of two months Lucca came in to the hospital 2-3 times a week initially, and then just once a week, until her wounds have all completely healed. With the location of the wounds on her legs we were unable to completely close them immediately, but over several weeks of ongoing care and wound management Lucca has recovered. Today she is back to being her mom’s companion as they travel and explore the world, loving life to the fullest.